Synthetic rubber latex for improving adhesion of cementitious mortars. Planicrete is a latex based on synthetic polymers, which cannot be re-emulsified in water after hardening and are also resistant to saponification. When added to mortars, screeds and renders it increases mechanical strength and adhesion to the substrate. For the preparation of adhesive slurries, dilute 1 part of Planicrete with 1 part of water, while for the preparation of renders and screeds, dilute 1 part of Planicrete with 2 or 3 parts of water, before mixing it with cement and aggregates. Consumption: depends on dilution and thickness of mortar. – for the preparation of adhesive slurries: 100-150 g/m2. 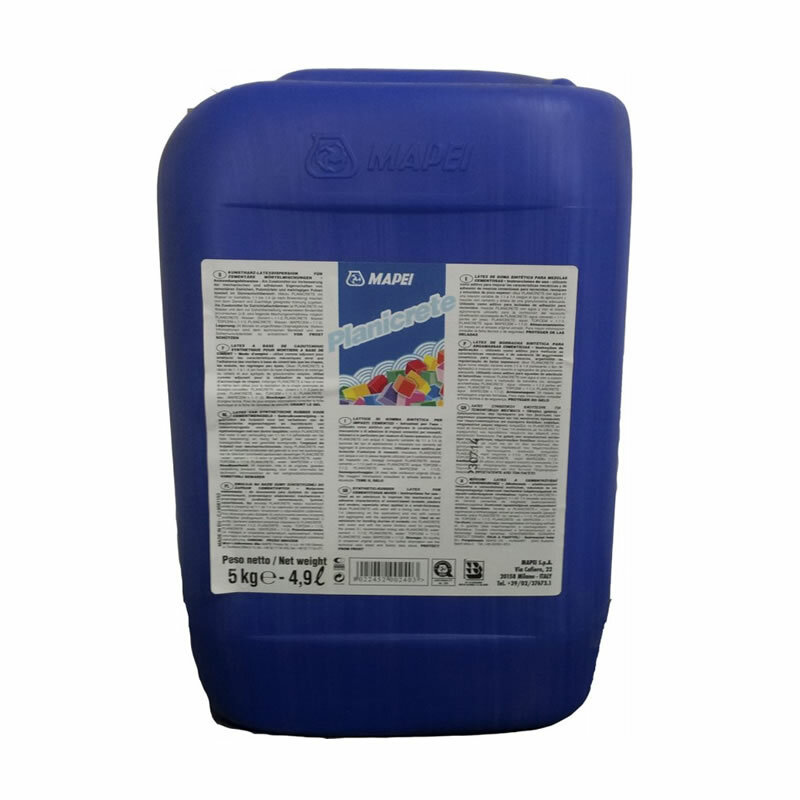 – for the preparation of screeds and renders: 50-80 kg/m3. 25, 10, 5 and 1 kg drums.